When we take on cats we are responsible for their well-being. This means ensuring that they are fed well and with the correct nutrition, and that they get appropriate vet visits whether it’s just for routine injections or for an actual illness. It can all be a little overwhelming especially if we haven’t had cats before. Just wandering around our local pet store or the supermarket can be confusing. There are so many food products out there and it can be difficult to know what to choose for our cats. Is wet cat food the way to go or would dry suit our cats better? Both dry and wet cat foods have their advantages and what suits one cat might not suit another. In this guide we will be studying wet cat food, that is food which comes in cans, trays or pouches. Looking at it, wet cat food seems more difficult to get your head around as there are so many different types out there, while dry cat food is just bought in a bag. However, we intend to prove this not to be the case and will guide you in the right direction to purchasing the right wet food for your cats. Wet cat food comes in many guises. A lot of the more expensive ones come in the form of a pate which is basically finely chopped or pureed seasoned meat. Because there isn’t as much gravy, you will find that the meat is more concentrated and your cats will therefore get more nutritional benefits. However, a lot of gravy in a cat food has benefits as well, not least in that it gives added moisture to your cats. Wet cat food in a gravy or broth usually comes in single-serve pouches which is very convenient for feeding time. One pouch will easily be sufficient for each cat. However, these foods are generally quite calorific, so if your cats have weight problems, it can be a good idea to use the pouches as a dry food topper. Although your cats don’t necessarily need carbohydrates, many of these pouches do contain some healthy fruit and vegetables. Just make sure that there are no empty fillers like wheat, corn, or soy. Sometimes wet cat food in a gravy or broth comes in large tins. These are usually produced by cheaper pet food labels and the food is usually stretched out with less nutritional value than in the pouches. The final type of wet cat food is semi moist. However, this is not used to such a great extent anymore. It has been proved that it can cause health problems such as anemia mainly because it has a high sugar and calorie count. What you don’t want is to cause your cats are health problems from what they eat. Nowadays you can still find semi moist food in the form of treats and the occasional treat won’t do anyone any harm, but keep it to a minimum. The health of your cat is a priority after all. More expensive wet cat foods tend to have a smaller range of cat food on offer, while cheaper forms offer a greater variety. The same goes for flavors. Expensive wet cat foods concentrate on offering premium ingredients, while cheaper versions like to mix and match. Why is Quality Wet Cat Food Essential to the Health of Your Cats? Cats, unlike dogs, are obligate carnivores. It’s not that they are particularly picky eaters, but their bodies need meat to survive. Vegetarians or vegans who put their cats on plant based diets because of their beliefs are in fact being totally irresponsible. The one particular amino acid cats need to thrive is taurine. It is only found in animal meat products and you get a better dose of this in a wet cat food rather than in dry. Taurine has a vital part to play in the health of your cats. It aids the normal and healthy development of the cardiovascular system, the skeletal muscles, the eyes, and the central nervous system, especially the brain and the spinal cord. Without taurine cats can even go completely blind. Wet cat food doesn’t usually contain too much fiber which is good for your cats. Cats don’t need a lot of fiber as they can’t break down plant-based food easily. Their digestive systems are short which means that they can’t digest cellulose or fiber-rich foods. If they do eat too much fiber, it can cause serious stomach problems. Cats need moisture and wet cat food is capable of giving them plenty of water. They don’t have a thirst mechanism which makes them want to drink, so if they are just eating dry cat food, they can be missing out on a lot of moisture content. Relying on wet cat food will give them the moisture which they need. 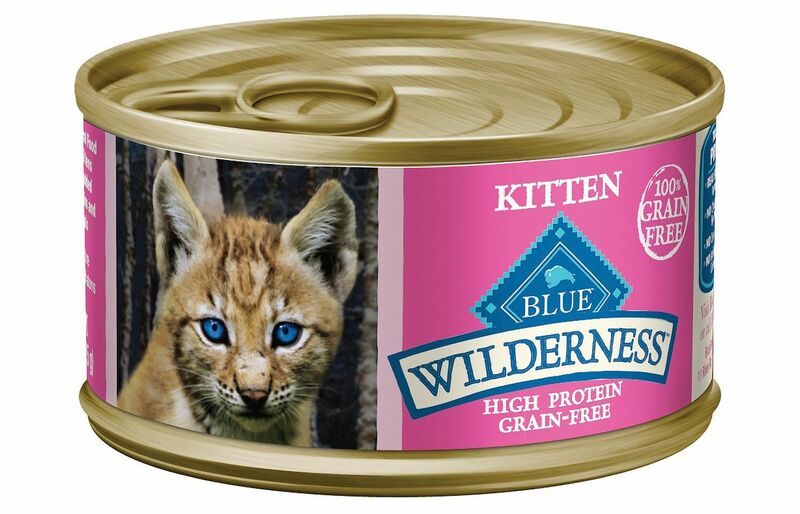 To compare, the prey wild cats eat contain around 70% moisture, while wet cat food has 78 - 83%. Dry cat food on the other hand only contains around 10% moisture, way too little for the survival of your cats. Such a small amount can lead to dehydration, with the possibility of chronic renal failure. At the very least, urine crystals can form which obstructs the flow of urine. Wet cat food can stop obesity and diabetes taking a hold. This is because it doesn’t contain as many carbs as dry cat food. Too many carbs can turn to glucose, heading your cats over to a lifetime of diabetes and injections. Wet cat food is easier to digest because it has less ingredients than dry cat food. Dry cat food uses a lot of ingredients to bulk up the food and can be by far the cheaper option. Less ingredients can also lead to fewer and firmer stools. This is better than frequent visits to the litter box with sickness and diarrhea. Wet cat food generally has higher nutritional values than dry cat food. This is because it tends to contain more protein and fats which are essential for the health of your cats, plus it contains very little carbohydrate. While a few fruits and veggies won’t go amiss, too many grains are unnecessary. Many cats prefer the taste of wet cat food over dry so will be more prone to eat it. Wet foods are similar in texture to fresh meat, unlike dry cat food which is basically just a biscuit mix, albeit one containing protein. Wet cat food can produce higher energy levels in cats compared to dry cat foods. The reason for this is that they are easily digested so are converted to energy in no time at all. Yes, wet food is a great choice for your cats, but like everything, there has to be a couple of downsides as well. The first is cost. You can buy a bag of dry cat food which will last for ages. Even one of the more expensive brands will go a long way. With wet cat food, you may have to invest in three pouches or trays a day per cat so you’re looking at 27 in one week, far more expensive than a bag of dry cat food which will probably last a month. Wet cat food doesn't have as long a shelf-life as dry. If you decide to go for the cheaper option and buy a large can of cat food, it has to be refrigerated to stop it from going off. Then cats often don’t like refrigerated foods so there can be wastage. Even if you use a pouch, your cats might still not finish the food and you can’t leave it down for as long as you can dry cat food..
A great advantage of dry cat food is that it helps to scrape away plaque and tartar from the teeth of your cats.while they eat. Wet cat food doesn’t do this. It’s daunting to see so many different brands of wet cat food out there so which do you choose? The best thing to do is to find one which has been endorsed by the AAFCO or American Association of Feed Control Officials. They regulate the production and manufacture of pet supplies and livestock feed, and a statement from them ensures that the pet food you have chosen has the minimum nutritional requirements. All wet cat foods should contain four principal elements, proteins, fats, fiber, and moisture. The main food composition should be made up of proteins and fats, not fibers. The first five ingredients of the cat food should occupy 80 - 90% of the total volume of the food. Protein should figure high here, although water and broth may also be top ingredients because of the high moisture count of the wet cat food. The best sources of protein are fresh meats and meat meals. Good sources are chicken, turkey, fish, and lamb. Don’t be put off by meat meals. They have already been cooked down to a moisture level of around 10%. Animal fats like chicken fat, and fish oils which have omega fatty acids are good for the skin and coat of your cats. A small amount of carbs are necessary for regular digestion. Oatmeal and brown rice are good options as are gluten free products such as tapioca and sweet potatoes. Don’t go for artificial colors or preservatives as they do nothing for the health of your cats, rather the opposite. Try finding foods with natural preservatives like salt and Vitamin E. Avoid artificial preservatives like BHA, ethoxyquin, BHT, and propyl gallate. 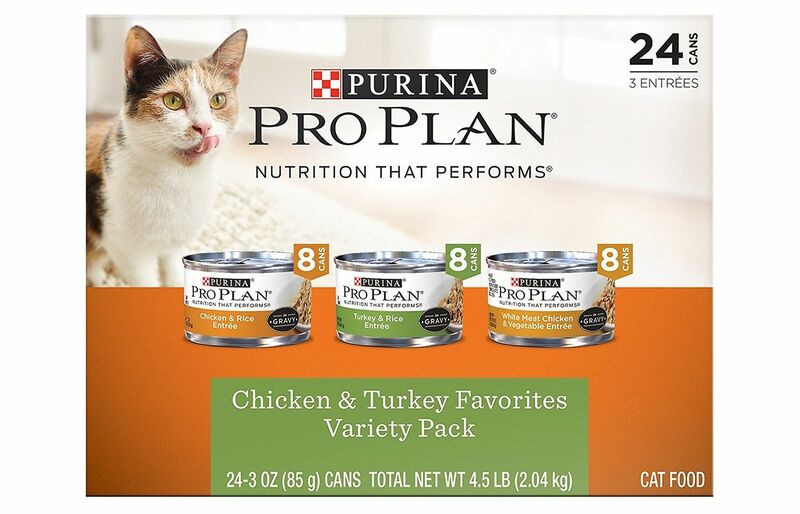 Variety is the spice of life and this variety pack of wet cat food will give your kitties a great choice of proteins including chicken, turkey, tuna, and liver. There’s no chance of them getting bored and fed-up with the same old food every day. Each recipe is made with real meat to support muscle and bone strength.and is jam-packed full of antioxidants and healthy omegas for a shiny coat as well as skin health. The pate is enhanced with vitamins and minerals and contains essential taurine. Cats have to have this is their diets and it aids their vision as well as their heart-health. Other important minerals included are magnesium, calcium, and potassium..Even though this is in pate form, there is real broth in the recipe which keeps your little monsters hydrated all day. Good hydration means excellent urinary health.Each sachet is ideal as a complete meal, but it can also be used as a kibble topper. Blue Buffalo is well know for formulating pet food which is similar to what animals would eat in the wild. What could be better than your pets eating what they are naturally disposed to do.? This particular wet cat food is specially formulated for kittens to set them off on the right track from the word go. It is considered to be one of the healthiest wet cat foods out there especially as it has substantially higher values of proteins and fats than a lot of foods. Kittens need high levels of protein to help develop strong muscles and to feed their high energy levels. The food has essential taurine which is highly beneficial for eye and heart health. The main ingredient is salmon and salmon oil is an omega-3 fatty acid which promotes healthy growth and cognitive development. Although the food comes in pate form, it does contain broth which supplies adequate hydration. Cats don’t need empty fillers like wheat, corn, or soy, and this cat food is completely grain free, all the more healthy for your cats. Holistic cat food is excellent for your pets. It has a high protein source and is usually completely natural. 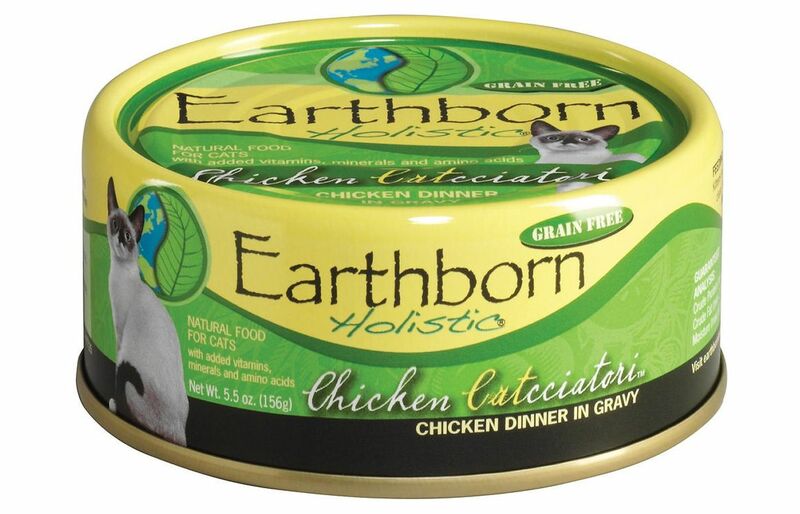 Earthborn Holistic Chicken Cacciatore has been inspired by the wild food cravings of cats. The top ingredients are chicken broth and chicken, both of which are easily digestible and provides plenty of moisture. This helps to support urinary health. There are plenty of nutrients in this wet cat food like vitamins, minerals and taurine. Taurine is essential for heart and eye health. There are also omega 3s and omega 6s which help to support shiny fur and healthy skin. The chicken is boneless which is much safer for you cats, it is skinless, and only the white meat is used. It gives a total health kick to your cats. In addition, this food contains potatoes. Cats don’t need too many carbs, but a little potato contains an exceptional source of vitamins, minerals, and beta-carotene. 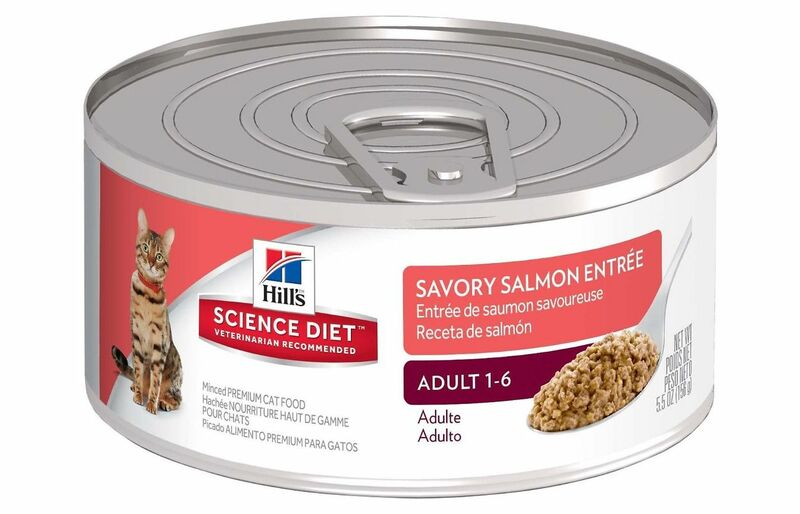 Another great thing about this wet cat food is that it is produced in a human grade facility so your cats are in effect getting food fit for human consumption. 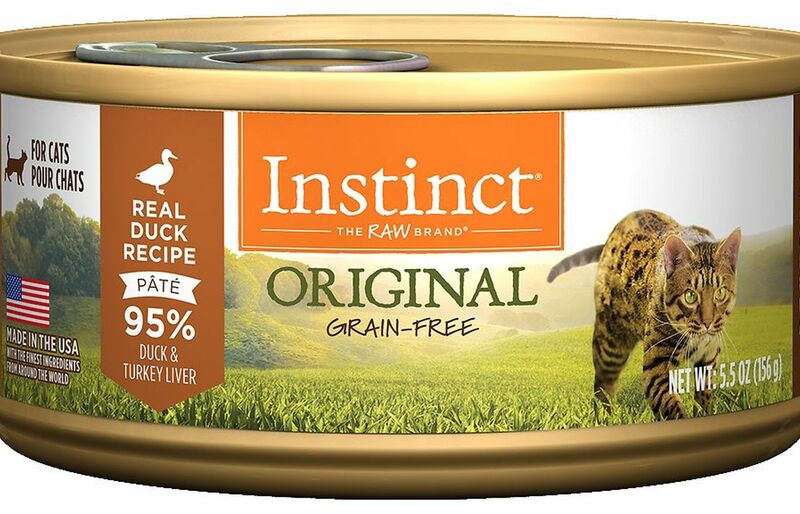 This wet cat food has a delicious pate texture and is jam-packed full of protein, just what your cats need for strong lean muscles.The protein comes in the form of duck and turkey liver. In fact, the duck is cage-free and the protein takes up 95% of the composition of the cat food. 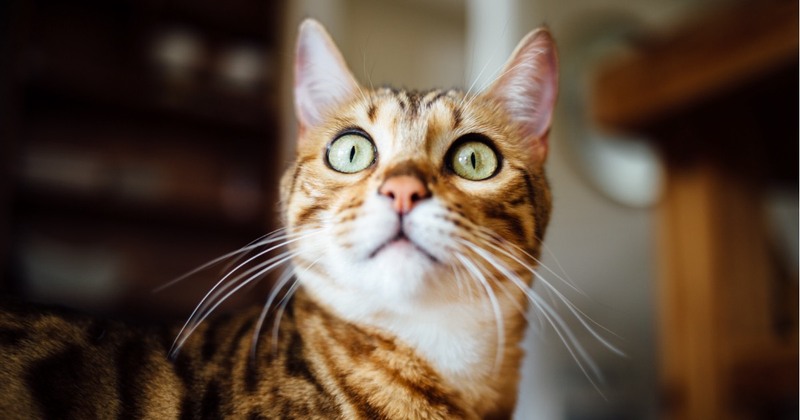 The other five percent is made up of healthy fruit and veggies.There are no empty fillers in this cat food, like wheat, corn, or soy which is all the better for your cats. 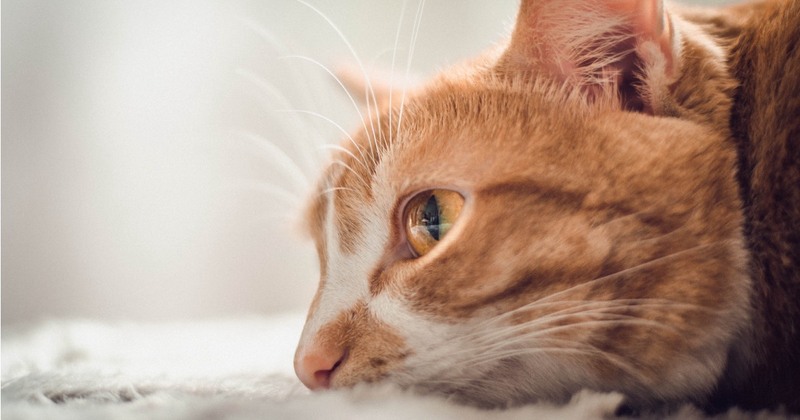 In addition there are no carrageenans, by-product meals, or artificial colors or preservatives Any of these products can cause food sensitivities in your cats and make them particularly il. You don't want them to be scratching all day or being sick. In addition, there are plenty of omega fatty acids in this food which help to promote a shiny coat and healthy skin and there is taurine for good eye and heart health. Use as a complete meal or as a topper on dry food. Limited ingredient cat foods are great for cats who have sensitive stomachs as there is less to upset them. This formula includes 93% fresh venison, together with a few organs and bones. There is also 3% New Zealand green mussels which are a natural source of chondroitin and glucosamine. These both support joint health and helps to stop arthritis from developing. 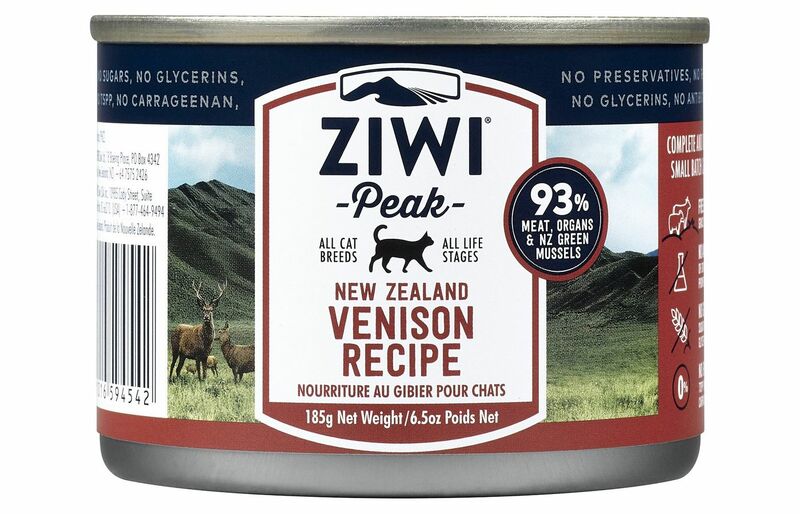 Venison used in this wet cat food is free-range and grass-fed on ethical and sustainable New Zealand farms. They are not pumped full of antibiotics, hormones, or growth promotants so are completely natural and healthy.In addition there are no empty fillers like wheat, corn, or soy, rice, potatoes, sugars, glycerins, rendered meals, preservatives, guar gum, agar agar, or carrageenan. It’s made into a chunky loaf which has a high level of protein and moisture, helping to promote strong lean muscles and good urinary health. This Weruva variety pack gives your cats that fish kick that they all love. However, although there is tuna in every pack, there is also an added protein such as chicken, lamb, or duck. What could be better than giving your feline friends a taste of something a little different at each meal..The wet cat food comes in individual pouches, great as a single serving meal. 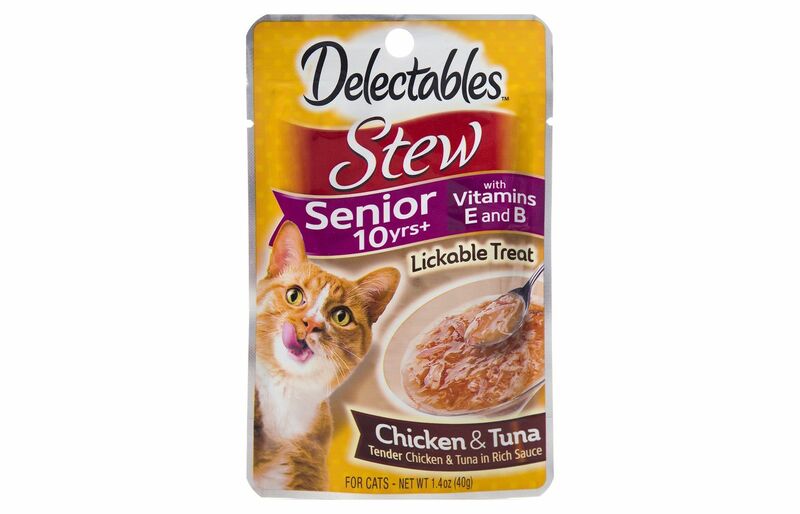 They are packed with gravy which gives your cats the added moisture they need to avoid urinary tract infections.The protein-rich recipe helps to develop strong muscles and joints, and avoid illnesses like arthritis. It contains omega 3 and omega 6 fatty acids, both of which promote good skin and a shiny coat.The product is completely grain-free which is great for the sensitive stomachs of your cats. Cats are often allergic to empty fillers like wheat, corn, or soy. There are also limited carbs which is good as cats don’t need many to lead a healthy lifestyle.. Another great thing about this cat food is that it is made in a human food factory so your cats will be getting high quality food. High protein food for strong muscles. 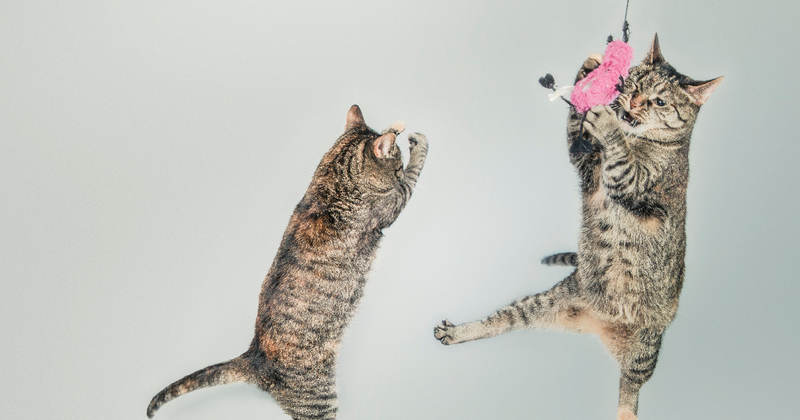 These little cans of wet food are absolutely delicious for your cats and are jam-packed full.of the protein they need for strong muscles and healthy joints. The packet gives your kitties a variety of flavors so that they don’t get bored. There are eight cans of three flavors;, chicken and rice, turkey and rice, and white meal chicken and vegetables. Real meat is used, not by-products so you can rest assured that your cats are getting the best. The meat is soaked in a delicious gravy which gives your cats plenty of moisture, helping them to stay hydrated. Amazingly, this wet cat food contains 25 different essential vitamins, minerals, and nutrients to support the complete immune system. There are fatty acids which promote good skin and a shiny coat and taurine for vision and heart health. Cats don’t need many carbs and this food is grain free. There are also no artificial colors, preservatives, or flavors, all of which can be harmful to the health of your cats. When cats reach their senior years, their bodies begin to change. For example, some of their organs like the liver stop working as efficiently. This is the time to change their diet and give them less calories. There should be less proteins, fats and fibers because they don’t need so much energy anymore. They can substantially put o weight if they are on too high a protein diet which is no good for their health. Increased proteins, fats, and fibers can take a toll on their kidneys. 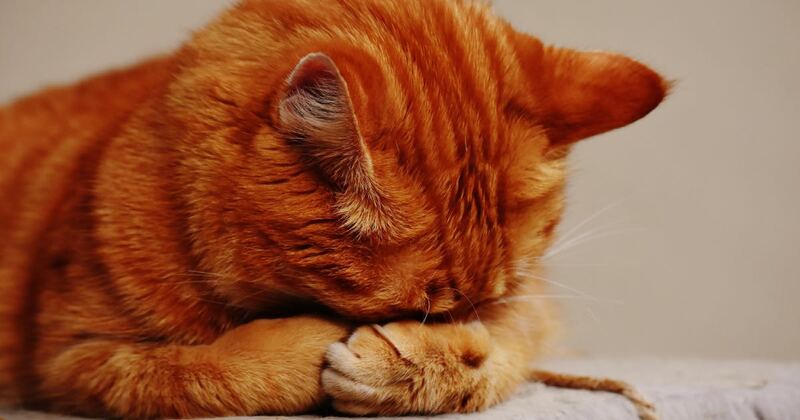 However, on the other hand, this wet food contains a lot of moisture which is essential for cats, especially older cats who have a tendency to dehydrate quickly. The meal is made out of chicken and tuna shreds which have been blended into a smooth sauce. This combination allows your cats to enjoy both the meat and the juices together instead of just having to lick at the sauce. The cat food is fortified with B and E vitamins, both of which supplement the health of older cats. This soft cat food is exceptional as it provides the exact amount of protein, fat, and calories that your cats require, Water is the number one ingredient so you can be assured that your kitties are getting plenty of moisture and therefore avoiding such illnesses as urinary tract infections. Animal proteins are used which are far better for your cats than plant proteins. They find animal based proteins.easier to digest than plants, hence the fact that they are carnivores. This pate provides balanced nutrition to support lean muscle growth and organ health as well as to give them plenty of energy. The food has plenty of important vitamins, minerals, and nutrients which help your cats maintain an ideal body weight. Important components like taurine is included in the ingredients. It is very important that your cat gets plenty of taurine because it helps with their vision and heart function. To top it all, there are no artificial flavors or preservatives so you can rest assured that you have chosen an excellent food for your fur babies.. 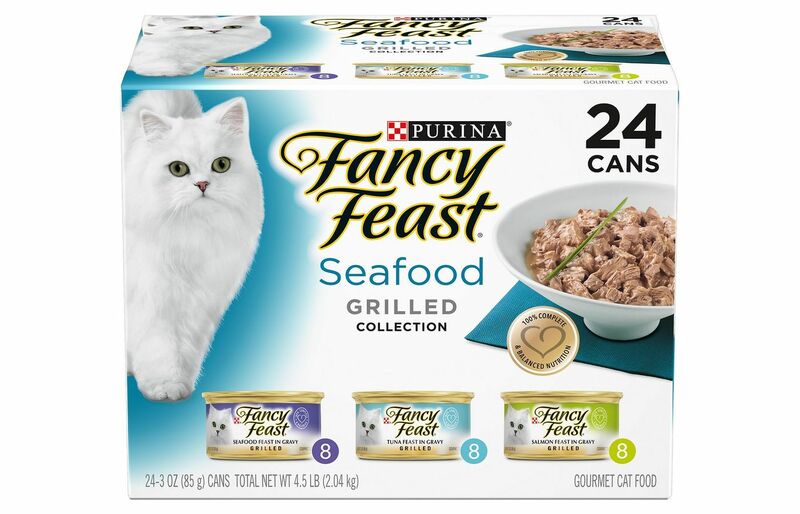 If you are looking for a gourmet wet cat food, look no further than Fancy Feast Grilled Seafood Feast Variety Pack. It features cuts of real seafood which are slow-cooked to perfection in a savory gravy. 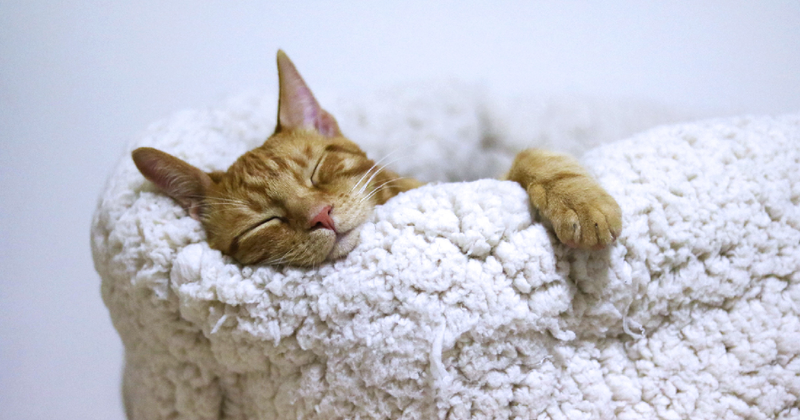 There is plenty of moisture in this cat food so you can rest assured that your cats are staying hydrated and and are not at risk from urinary tract infections. There are three flavors; Grilled Tuna Feast in Gravy, Salmon Feast in Gravy, and Grilled Seafood Feast in Gravy. All have the fish as the main ingredient. There are plenty of added vitamins and minerals which offer complete balanced nutrition. Taurine has been added as it is essential for cats and improves their heart and eye health. The cans are really easy to open as they have flip-tops. 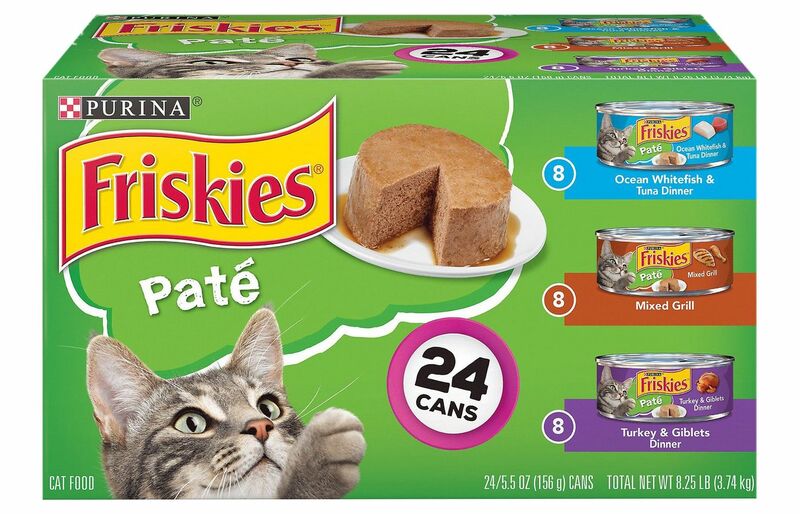 You can serve each packet as a separate meal, or you can use it as a topper on dry food. Don’t forget to refrigerate it if you don’t use it all in one go. Why is a Quality Wet Cat Food Important? People have been fighting over whether wet or dry cat food is the best for your cats for years. Personally I would go for wet cat food because of the added moisture content. There is very little moisture in dry food and cats aren’t the best at searching for their own sources of water. 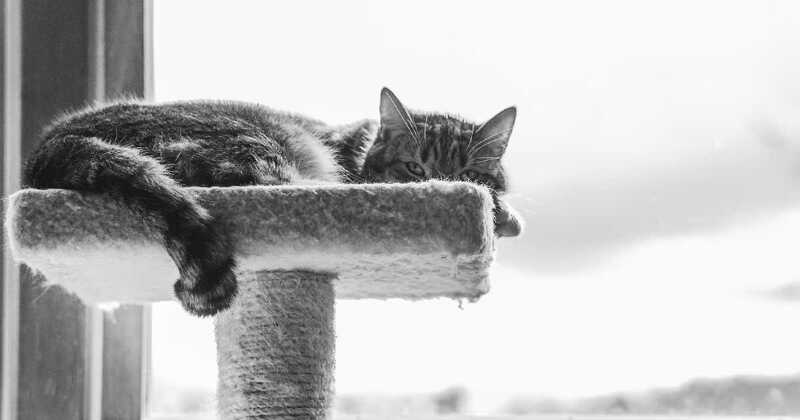 Whichever food you are going to give your cats, you should choose the best as these are more likely to have extra nutrients, vitamins, and minerals. Always check the ingredient list. You usually get more taurine in a wet cat food rather than a dry as it is plentiful in fresh meat. It helps with the eyes, the heart, and the central nervous system. Because dry cat food contains more carbohydrates than wet cat food it can lead to diabetes and obesity, two serious health problems. A good quality wet cat food will have few carbs and especially no empty fillers like wheat, corn, and soy. What Ingredients to Look for in Wet Cat Food? The first and most important ingredient to look out for is animal protein. Cats need this to survive. Make sure you choose a specific meat, not something like poultry meal as you will have no idea what poultry is being used. When it comes to moisture look for a content of at least 75%, especially if your cats are elderly. They need more moisture as they grow older because they dehydrate quickly. Always make sure that there is plenty of taurine in the food. It does appear naturally in wet food, but extra is usually added to make sure that your cats are getting enough. When Should I feed my Adult Cat and How Much? You often hear of people feeding their cats just once a day, but personally I think it’s better to split the meals. They won’t then be able to rush through one big meal and cause themselves digestive problems. Healthy adult cats need around 30 calories per one pound of body weight each day. A 3 oz can of wet cat food contains around 100 calories, so your cats would need 3 cans a day presuming they weighed in at a very average weight of 9 - 10 pounds. If you love and care for your pets you will give them the best care that you can afford. There is nothing wrong with dry cat food and indeed it’s a great supplement to wet food, but wet food contains more protein and especially more moisture. This provides the essential hydration your cats need to support their development. 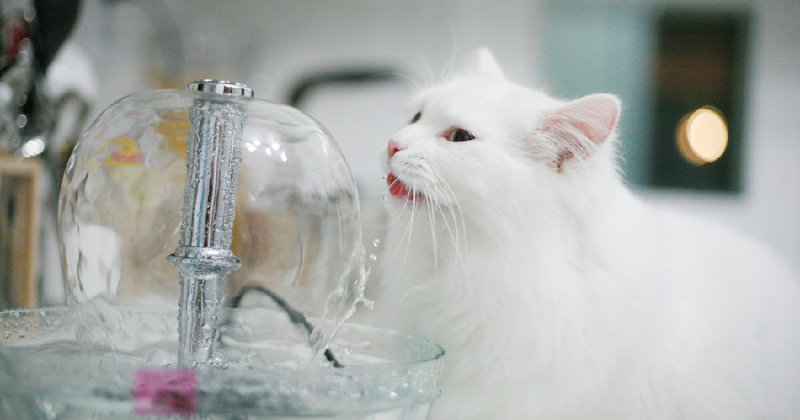 Don’t ever underestimate the importance of water in the diet of your cats.